It is entirely my own fault, but OC Restaruant Week is really going to be the death of my healthy living resolution. With so many great deals, I really neglected my stove this past week. One of my favorite restaurants is The Capitol Grill for the lobster salad. With the restaurant week deals, I had the opportunity to try something new. I adore clam chowder. 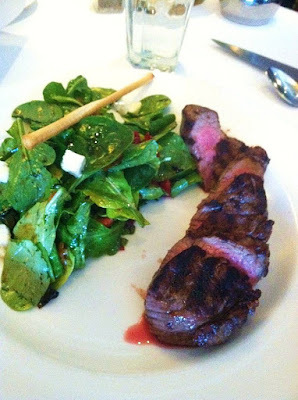 Grilled dry aged sirloin with arugula salad with little cubes of mozzarella cheese. I didn't know balsamic vinegar can be so good with arugula. Normally I don't like salmon, but this is fabulous. It was tender and flavorful. It is lightly glazed with citrus dressing. I suspect orange juice, a little dash of sugar and lemon are what makes this so tasty. 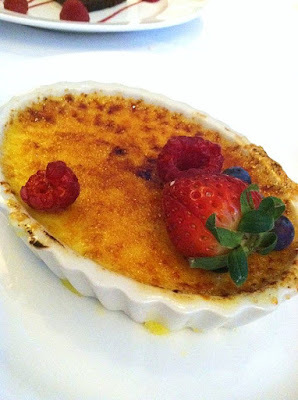 Cream brulee is really my all time favorite dessert. I love the sugar crust on top. Tart berries, with slightly bitter sugar crust are the perfect combo for this cream dessert. Need I say more? 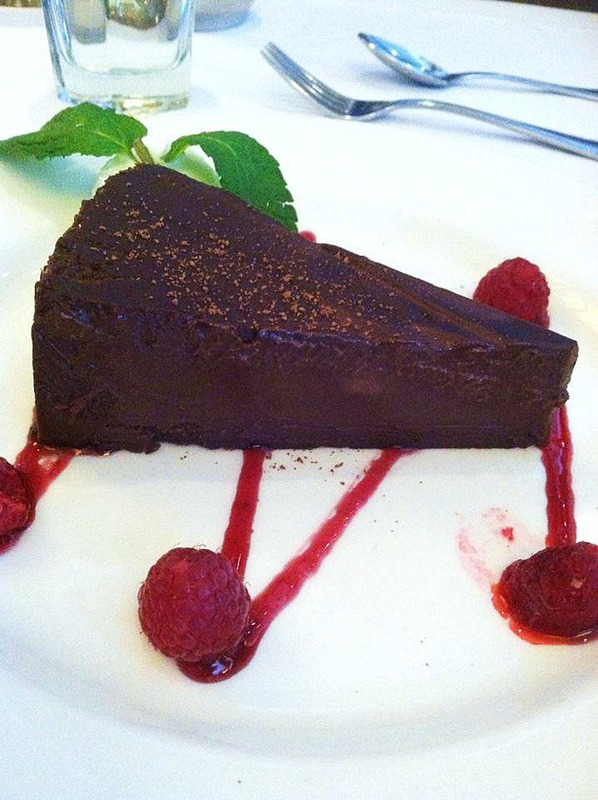 Flourless chocolate cake. I am so chocolate out this week..... Do you have restaurant weeks in your local areas? And do you try out new places or take an advantage of old favorites? Those pictures say EVERYTHING Angela! hahaha Everything looks sooo good. Glad you enjoyed it. Have a great week! Oh, I love restaurant weeks. We always over indulge, but it's so worth it! I love Capital Grille! I need to try these things, especially the desserts. YUM! 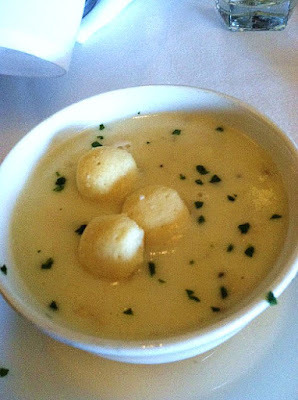 I can just have clam chowder with a plate of bread and jump to cream brulee. 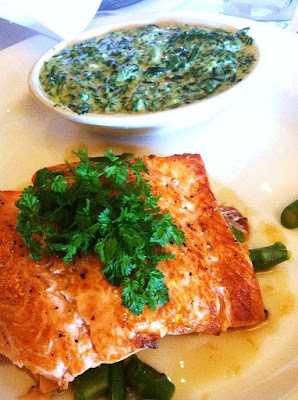 Yum, I love Capital Grill. Have you tried lobster salad? It is a must try. This meal is just mouthwatering. Can't help drooling over that sirloin. I am SO craving a Capital Grille steak now!